Discussion in 'Political Opinions & Beliefs' started by PeppermintTwist, Feb 11, 2019. An incredibly informative and interesting read that explains why we are where we are now. Reveals the ugly truth behind the Gingrich and Norquist agendas that funnel money to the top. Bowerbird, Market Junkie and Lee Atwater like this. The Washington Post is a Left wing newspaper. OF COURSE they see the republicans as the problem- those pesky republicans are rejecting nonsense every day and standing in the way of a new socialist victory. The ugly truth is in the mirror the democrats refuse to look at. It's like spoiled children insisting their parents are stupid, and because they can't see what their parents know- and so insult them, and generally- make fools of themselves. Used to be you were expected to grow out of that nonsense, but we got too permissive, so now we have 35 year old children still thinking as they did at 15. RodB, Bondo, Blaster3 and 3 others like this. It was always innevitable that the foundational American sentiment of 'just leave me alone' was doomed to become 'extremist'. Authoritarianism never sleeps. Blaster3, BestViewedWithCable, ModCon and 1 other person like this. Look guys, an alt left news org is blaming the Republicans! WHO'DA THUNK? Bondo, BestViewedWithCable, Gatewood and 2 others like this. The current corrupt culprits need to be exposed and gotten rid of. Too bad working Americans that value newborn lives, have respect for the flag, love this country and it's constitution disagree with you. Bondo, Gatewood and nra37922 like this. I agree with the OP. Republicans have moved too far to the left. Darthcervantes, Lil Mike and TurnerAshby like this. Yep. They should move back to the center and away from socialism. Yep, We have Trump because Repub politicians moved away from their voters. I'm thinking the real problem for the op is the American voter. I find it interesting liberals actually pay for the Washington Post. Yes the republicans should change and be problem free like the democratic party who never have any issues. 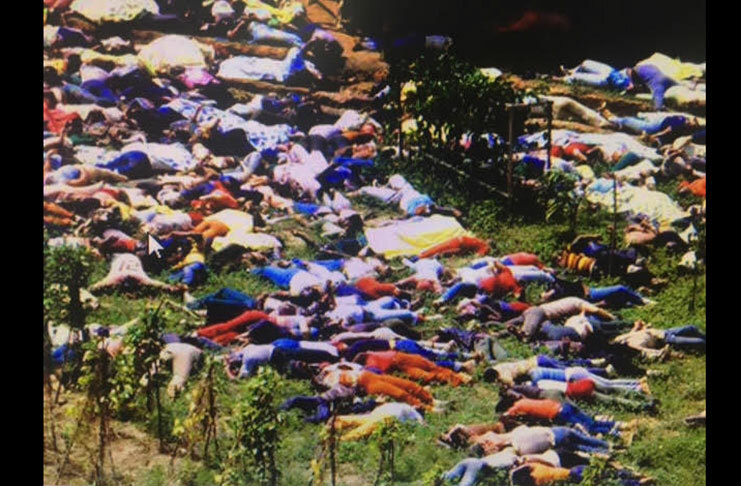 The trumpublicans have more in common with Jonestown than what used to be the Republican Party. This problem with Republicans will sort itself. The base that supports Republicans is primarily white, uneducated, Christian and older. That demographic is shrinking rapidly as America diversifies and becomes more secular, becomes better educated and younger voters get active. Odd that you would use such an inapplicable metaphor. Democrats are much more susceptible to such anti-religious cultist beliefs. Collateral Damage and Thought Criminal like this. Trump won college educated whites, and 2 of the top four income hexiles, tied on one of the other two top hexiles, and lost one. Trump essentially won middle class and upper middle -taxpayers-. Democrats as usual won both bottom, nontaxpaying income hexiles handily. So since income level is a proven strong correlation with intelligence and education, tell us again who wins the "uneducated" ignorant vote and whose "base" that is? That's right, Democrats. Or get honest. Trump's base is the non government-dependent private sector that comprises 30,000,000 businesses, not old uneducated Christians. To the topic, WAPO? HAHAHA, Weekly World News, any supermarket tabloid, or any RW source is far more credible. Older voters (ages 65 and older) preferred Trump over Clinton 53%-45%. Old, white, uneducated men voted for Trump. Leftists just proposed legislating cow farts. The Republicans are not the problem.